In 2014 has been built vessel Jeanneau 53 called PRESTIGE. She is based in base Valletta just a few kilometers from Malta in Malta. You can board up to 11 pax on the sailboat PRESTIGE. Configuration of beds is 11. There are 6 cabins placed under yacht's deck. PRESTIGE has 4 bathrooms. You can find different boats by going to the section Yacht charter Malta. In this sailboat is applied engine 110. 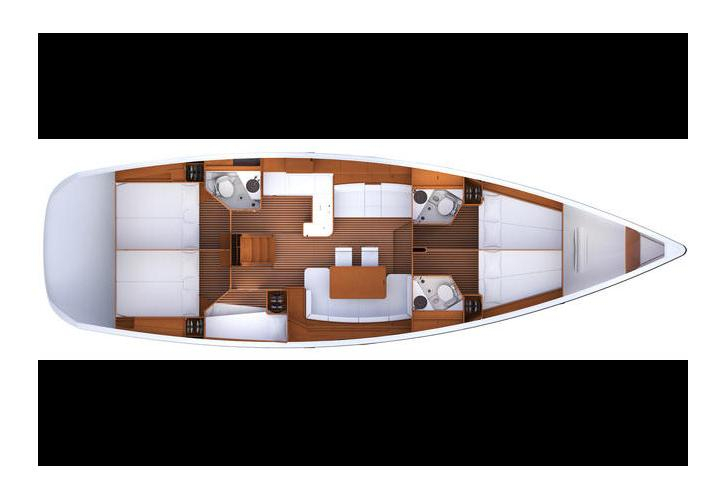 With 16.06 meters of lenght overall and 4.77 m of beam PRESTIGE offers enough space for comfortable sailing. Jeanneau 53 PRESTIGE is equipped with: Gps plotter, Autopilot, Radio / cd player, Bimini top, Electric winches, Wc pump electrical, Bow thruster. . Nonrefundable caution there is 3000.00 EUR. Use our search engine to find more offers by going here: Yacht charter Valletta.